The alarm was raised at 12.21am and two crews from Lerwick and Scalloway went to the scene on St Magnus Street in the island’s capital. The person was handed into the care of the Scottish Ambulance Service and their condition is currently unknown. Firefighters used one main jet and one hose reel jet to battle the flames and two of the team wearing breathing apparatus entered the property to assist the occupant of the building. 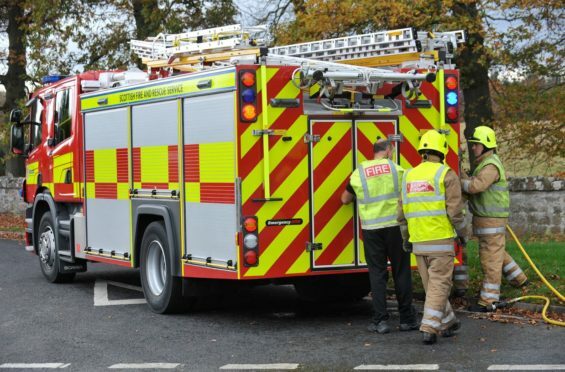 A spokeswoman for the fire service said: “We received reports of a house fire in Lerwick this morning, with a call coming in shortly after 12.21am. “One person was removed from the building and placed into the care of the Scottish Ambulance Service.